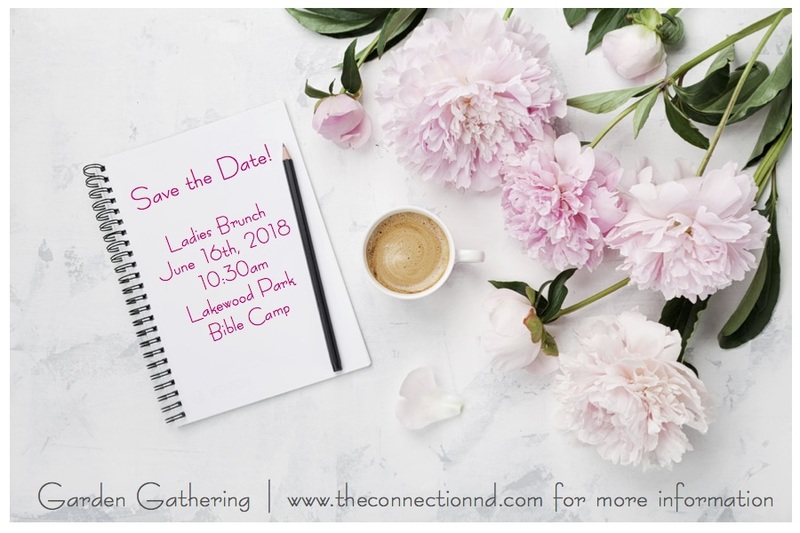 Save the date for the upcoming Ladies Brunch during Family Camp at Lakewood Park Bible Camp. Tickets are $10 and can be purchased after service Friday night or Saturday morning, before 10am, in the This N' That Shop. Our speaker and her husband have spent much of their lives communicating the message of the Gospel in sensitive regions of the world. Please contact The Connection Director at 701-535-0448 for further details on our speaker. We can't wait to see you there!